Robleda Company, Publishers, 9780964650640, 238pp. Dan Martinez, twenty-eight, laid off from his job with a law firm in Portland, Oregon, decides to train for an off-road triathlon in rural Central Oregon. After a run, Dan comes to the back door of his childhood friend, Candy Winterpol, to find Candy's husband, Ken, barely conscious on his deck. Dan and Candy help Ken into the kitchen and call 911. 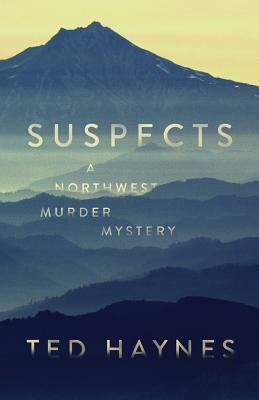 When Detective Breuninger of the Deschutes County Sheriff's Department arrives with the medics, Dan and Candy realize they may be charged with attacking Ken (and ultimately murdering him when he dies that afternoon). Dan arranges a criminal attorney for Candy and protects himself using what he can remember from law school, where he studied business, not criminal, law. When a neighbor tells Dan he saw Dan's father in the vicinity, Dan decides he must protect his father, as well as Candy and himself, from arrest and possible conviction. Meanwhile, Dan's father disappears. Dan undertakes to protect Candy, his father, and himself by identifying other people who had reason to kill Ken. He uncovers Ken's fraudulent business practices, his bribery of public officials, his early life as a drug dealer, and his bitter relationship with his previous wife. When Dan delivers a host of suspects to Detective Breuninger, the detective arrests Dan himself in the hope of learning what Dan is trying to hide. Amy De Santis, twenty-three, attends the funeral of her landlord (Ken) and is accosted by his sister who sees a family resemblance. Amy believes Ken might be the father for whom she never had a name. Amy meets Dan and finds they are both training for the same triathlon. They eventually fall in love, though Dan is wary of a girl who stands to gain from Ken's estate. Dan finally identifies the murderer, who attempts to kill Dan, and fights the killer in a life and death struggle deep in the Oregon forest. The novel is narrated in various sections by Dan, Candy, Dan's father, Amy (Dan's girlfriend), Detective Breuninger, and, in a letter he left behind, Ken Winterpol - the murdered man himself.